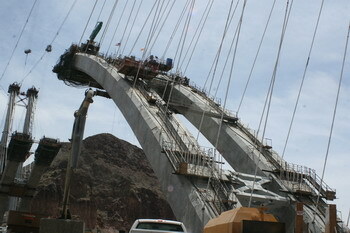 This is the new Hoover Dam Bypass; work started in 2005, it is scheduled to be finished in 2010. 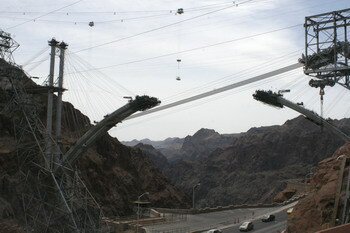 Then one will travel 840 feet (256 m) above the Colorado River on a four lane highway. 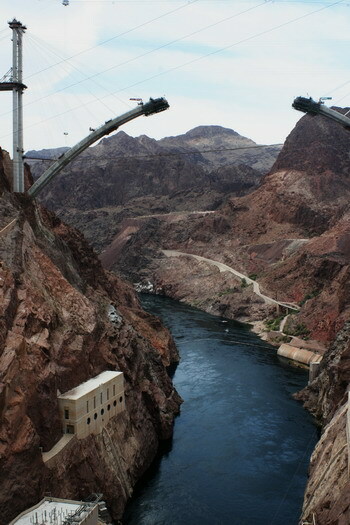 The Hoover Dam itself is a marvel of engineering, given the time it was built and the enormity of the task involved. But the new bypass is just overwhelming. Or WOW! With a well-deserved exclamation mark. So excited. We’re going to get to see Hoover Dam in Sept. when we go to Vegas. I’m really looking forward to that. Your pictures are great. 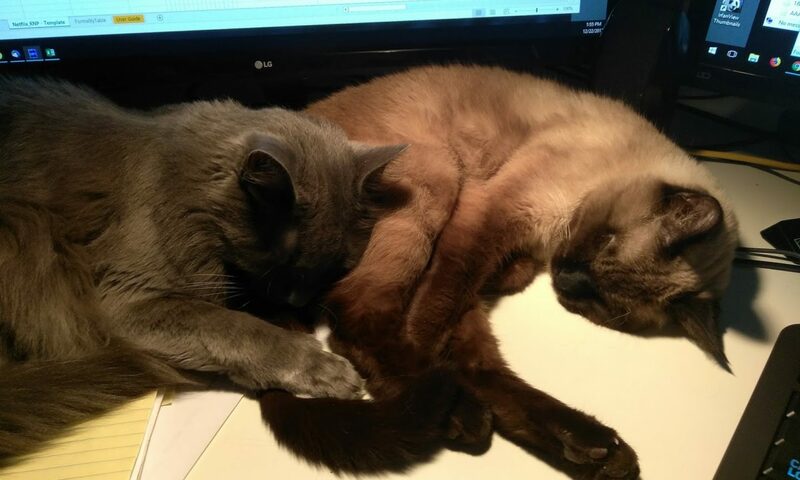 Oh, you are in for a treat. The dam is impressive all by itself, and the new bypass is just like the icing on the cake. Two impressive engineering feats in one place. Unfortunately we were not able to take the tour down to the engine and generator room; the lifts were out of order and even my “so, you don’t have staircases?” did not open the doors for us. So we have to go there again – for the tour and to see the finished bypass.